Heritage Belle Farms is committed to creating an agricultural model that can be implemented on any scale and that views the land as a diverse ecological resource base, where livestock are not only the primary economic driver of our business, but also an important tool that we use to manipulate the land to achieve positive conservation outcomes. Upon that foundation, and in keeping with Nature’s model of production, Heritage Belle Farms strives to enhance lives, landscapes and our communities by engaging in holistic, sustainable farming and ranching practices that yield exceptional products including; bio-diverse ecosystems, healthy certified grassfed meat and eggs, fiber, and cooperative and educational relationships with our community. Our holistic land-based business emphasizes land stewardship, innovative management, and economic viability. The result is a sustainable, diversified business that enables the preservation of our land, our livestock, our livelihoods, and our agricultural heritage. 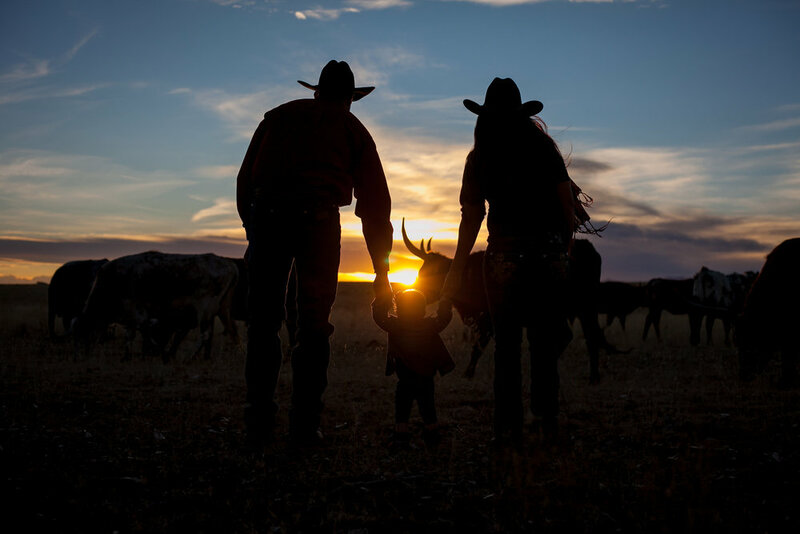 Inspired by our family's commitment to live a natural and sustainable lifestyle, and driven by our personal passion to raise livestock compassionately, and to improve the environment for generations to come, our pastures are never treated with any chemical forms of fertilizer, pesticides, herbicides or any other synthetic chemicals. The native short grass prairie plants that our livestock feed upon, and our animal's outstanding quality of life, combine to produce meat that is leaner, higher in omega-3 fatty acids and completely free of man-made additives. Heritage Belle Farms strives to set the industry standards in small-scale sustainable farming and ranching. We carefully manage our livestock's grazing pattern to develop natural relationships between the land and the animals such as, hoof impact and fertilization which are so vital to the grasslands. We try to mimic what once was provided by the herds of migrating bison, elk, deer and other herbivores. Our highly developed grazing plans seek to avoid damaging affects to our land by avoiding three types of land management that are commonly practiced that include: leaving the land to fallow, continuous grazing, or overgrazing. We recognize the value of sustainable and responsible animal welfare practices and believe that livestock should always live pasture-centered lives. The animals harvest the energy of the sun in the form of native forages (prairie plants). By raising our livestock as nature intended, unnecessary antibiotics (meaning we never administer routine antibiotics), synthetic growth hormones, or animal by-products are never necessary or used. We implement higher standards of care on our farm that minimize stress, increase comfort, and improve the safe handling of livestock, thus creating a more sustainable and delicious product. All of our livestock are heritage breeds. Heritage breeds are traditional livestock breeds that were raised by our forefathers. These are the breeds of a bygone era, before industrial agriculture became a mainstream practice. These breeds were carefully selected and bred over time to develop traits that made them well-adapted to the local environment and they thrived under farming practices and cultural conditions that are very different from those found in modern agriculture. Our climate is changing, which threatens traditional world food and fiber production. Our population is also growing, increasing the demand for food and fiber. But, an interest is building in greater self-sufficiency. Heritage Belle Farms is very committed to reducing agriculture's carbon footprint and demonstrating how we can use livestock as a tool to reverse global climate change, while also increasing food production. As a result we need more efficient, more highly skilled farmers. That's why Heritage Belle Farms focuses on educating consumers on better nutritional practices, and teaching beginning and small-scale farmers and ranchers how to be more productive and resourceful, so they can achieve a positive and sustainable livelihood that encompasses a triple bottom line (environmental, financial, and social). By facilitating better access to information, new skills, tools and services Heritage Belle Farms can help people to make lasting improvements in their own livelihoods. 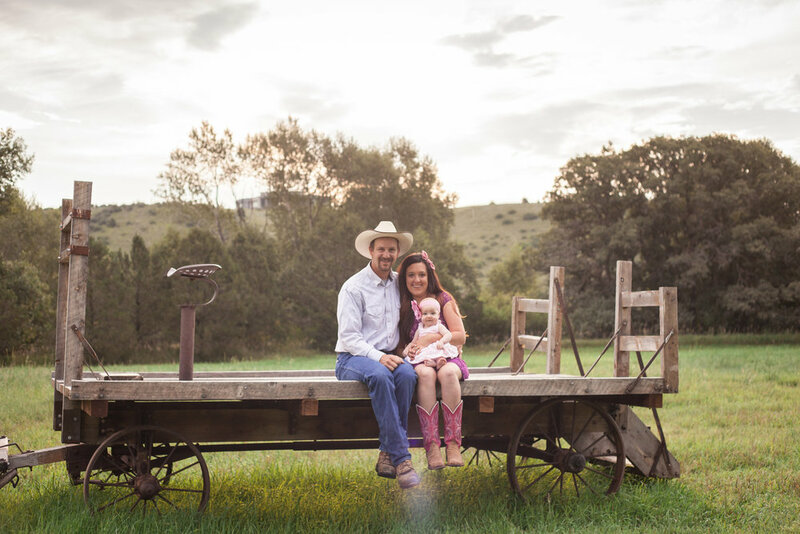 Katie Belle Miller, a wife, mother, and a proud entrepreneurial farmHer and rancHer, owns and operates Heritage Belle Farms. Perpetually juggling farm life and home life, Katie also finds time to maintain her Holistic Management Educator Accreditation with both Holistic Management International (HMI) and The Savory Institute (SI) by consulting for and working with like-minded farmers and ranchers. Additionally, she finds time to also work as an Independent On-Farm Inspector for American Grassfed Association, volunteer as a Board Supervisor for the El Paso County Conservation District (EPCCD), volunteer as a Colorado Agricultural Council Member for the Humane Society of the United States (HSUS), participate in several area livestock breed associations, and manage her husband's business, M R Excavating & Agricultural Services, LLC. And in the rare event of spare time, Katie enjoys horseback riding, photography, cooking, reading, and working on fiber arts projects, particularly the ones where she can use the wool from her sheep: Navajo weaving, felting. knitting, and sewing; and of course the number one activity now is being a Mom. 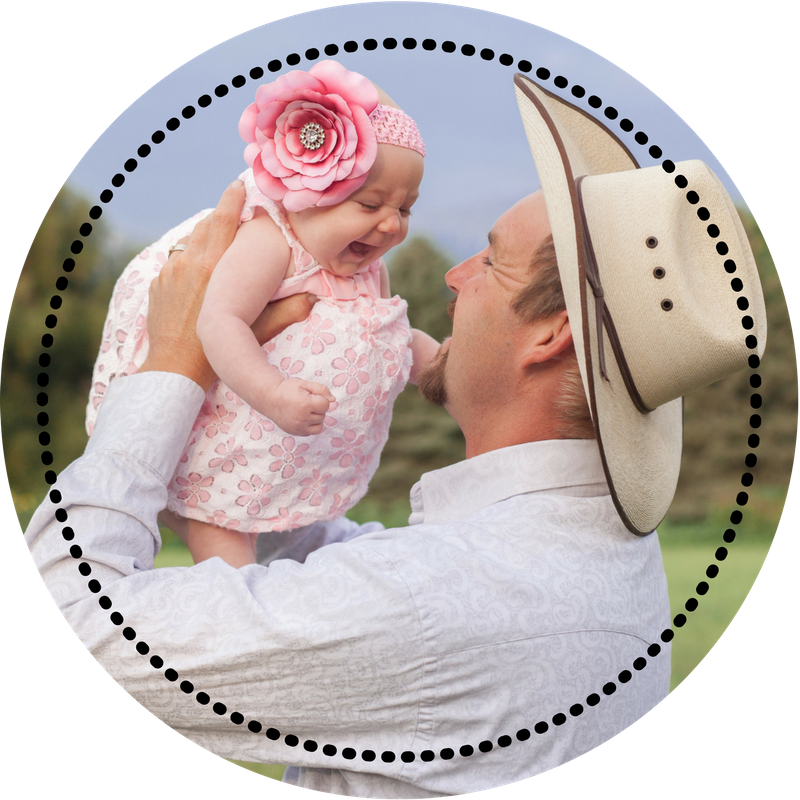 Josh will be the first to tell you that he's no farmer or rancher, but he is the reason for anything getting done on the farm. He's incredibly skilled at bringing ideas in his head to fruition. He's resourceful, very mechanically inclined and can build, fix, or mend just about anything. He also owns and operates his own excavating and custom haying business, M R Excavating & Agricultural Services. Josh's spare time is usually consumed by being a Dad, a job you can tell he absolutely loves.